Stay on a boat this Burns Night and explore places related to Robert ‘Rabbie’ Burns’ life and work. Take in the landscape that fired his imagination and enjoy a customary haggis and whisky. 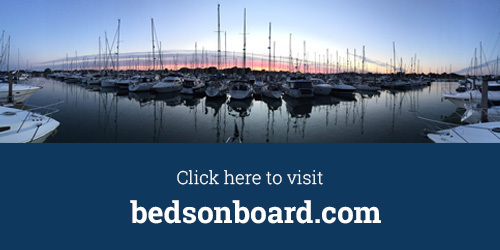 Beds on Board offers another way to stay in Scotland. Stay on a boat in Scotland and you could hold your own Burns Night Supper, but if that seems like too much effort, head to one of the organised shindigs this Burns Night – you can be sure that there’s a bed on board waiting for you. Explore: Walk the streets of Edinburgh where Burns published a second edition of his poems and visit the Writers’ Museum where you can see portraits, rare books and personal objects including letters and his writing desk. 24 & 25 January, Rabbie: A Burns Night Spectacular at the Edinburgh Festival Theatre. Stay: in this private apartment on board a traditional trawler, a double cabin in a traditional fishing boat or bring the kids and stay in this family room in a trawler, all in Troon. Explore: Tour Ayrshire & Arran, where the poet grew up, and visit the Robert Burns Birthplace Museum with Burns Cottage, his birthplace, and the elegant gardens created in his honour as well as the Bachelors’ Club where he founded a debating society. 25 – 29 January, Alloway 1759 in Alloway. Stay: On a Big Bolero racing yacht or this five-berth sailing yacht, both in Inverness. Explore: Start in Inverness, the cultural capital of the Scottish Highlands before touring the stunning landscapes of this region – Burns took “a slight pilgrimage to the classic scenes of this country” through the Highlands and North East of Scotland in 1787. 25 January, A Burns Night Murder at Strathpeffer Pavilion, Strathpeffer. Stay on a boat in Scotland and experience the tradition of Burns night. Explore the landscapes, history and culture of Burns Country during this celebrated month. Discover a unique place to stay and get great access to the striking scenery of Scotland.